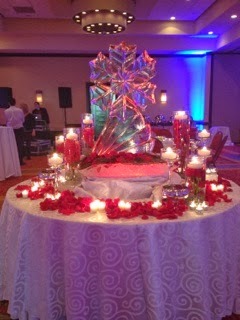 Imagine the guests at this party walking in and seeing this statement piece! 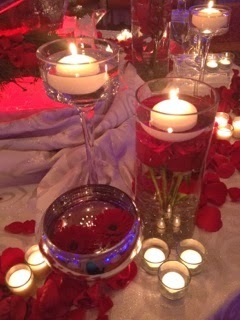 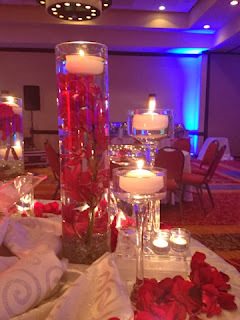 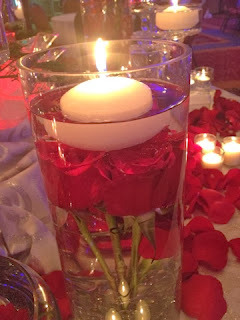 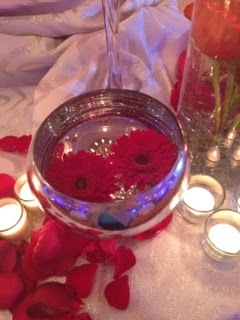 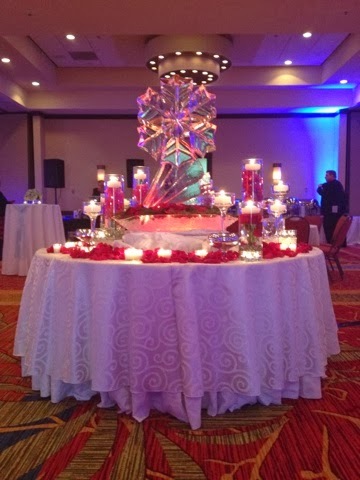 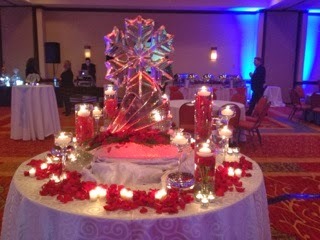 We used submerged vases of flowers with lots of levels of candle light to warm up the look of the entry table. 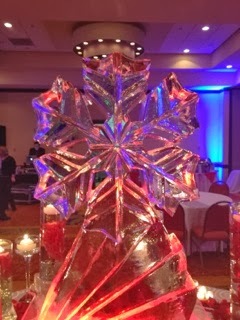 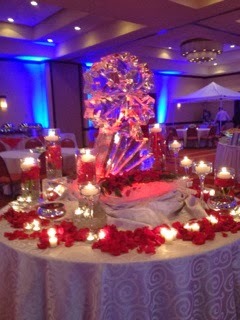 The ice sculpture was also up-lit in red. 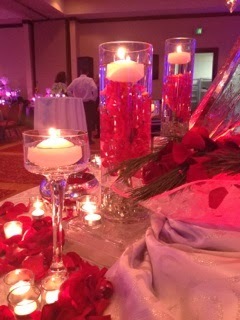 Floating blooms and a bed of rose petals were also part of the details of the table. 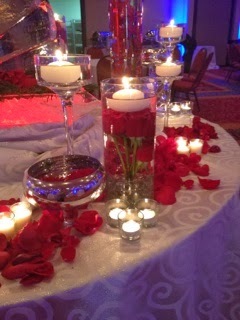 Special thanks to Christine and Lisa at RGA for always hearing our ideas and running with them! You are a pleasure to work with and we look forward to helping you with your events in the future!